India lost the first Test against England by 31 runs at the Edgbaston today. Chasing 194 to win, the visitors were all out for 162 on the fourth day of the opening Test. First-innings centurion Virat Kohli again top-scored for India, the skipper making a valiant 51. Batting first, England were all out for 287 in the first innings and then bowled out India for 274 to take a slender lead. In their second essay, England were bundled out for 180, but they came back strongly with their bowlers helping the hosts take a 1-0 lead in the five-match series. 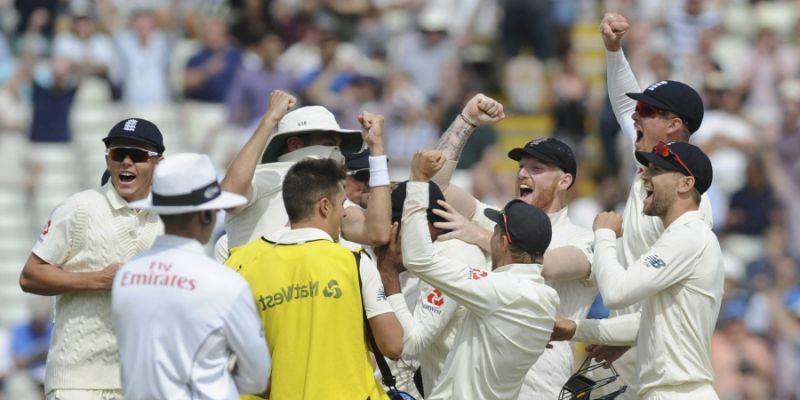 Ben Stokes picked up three wickets, including the big one of Kohli. India: 274 and 162 all out in 54.2 overs (Virat Kohli 51; Ben Stokes 4/40).